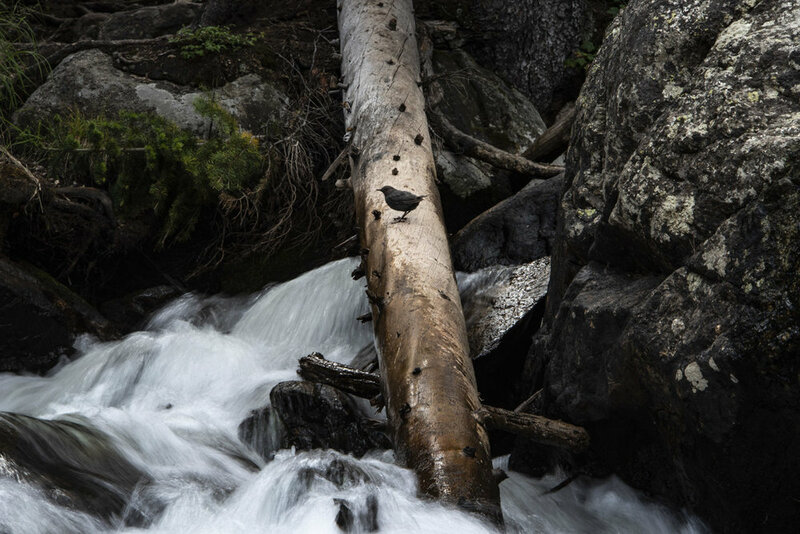 In 2015, I began a quest to document the life of North America’s only aquatic songbird - the American dipper. I did it in my home watershed, the Platte River Basin, in its upper reaches in the Rocky Mountains of Colorado and Wyoming. Now four years later, because time never stops and stories are never really finished as much as they are taken away from you, here’s an essay with a portfolio of images, along with a short documentary film produced by my colleague Mariah Lundgren with Platte Basin Timelapse - PBT for short. PBT was created in 2011. It is dedicated to telling the stories of a watershed in motion, and to do so takes a village. One small part of my effort is a series of natural history-based stories that will roll out over this next year - pieces I have been chipping away at for years. Trumpeter swans in the Nebraska Sandhills are next, then bighorn sheep in the Wildcat Hills, and then the role of beaver as hubs of biodiversity along the Platte River, and so on. These indelible creatures are the wildlife among us in a surprisingly rich watershed in the heart of the Great Plains. They stand as symbols for ecosystem health, they are survivors whose stories help shine a light on conservation challenges past, present and future, and they deserve to exist in this landscape just like we do, beyond any utilitarian purpose, for their intrinsic beauty and for their own sake. Mike was be the featured speaker for the Great Plains Nature Photographers 2018 annual meeting at the McPherson Opera House. 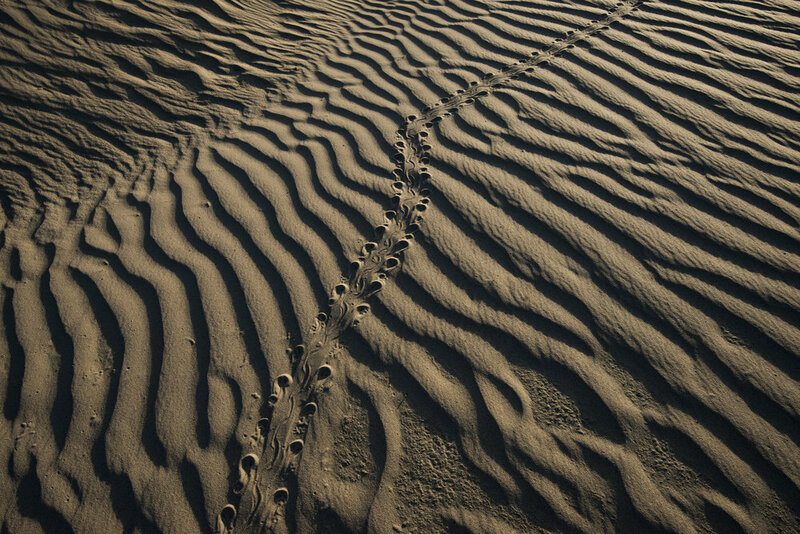 The Great Plains Nature Photographers organization has been in existence for roughly 30 years. Through photography, the organization has been shining a light on prairies and plains and America’s lingering wild. Mike was the Keynote speaker at the Powder River Basin Resource Council’s 46th Annual Meeting. Mike’s Great Plains: America’s Lingering Wild Exhibition will be at the Sheridan Public Library during the month of November. Mike, along side with members of the Platte Basin Timelapse project, and Chris Johns of National Geographic Society, presented a pre-conference storytelling workshop at the 2018 Watershed Symposium in Whitefish, Montana in partnership with National Geographic and the University of Nebraska. 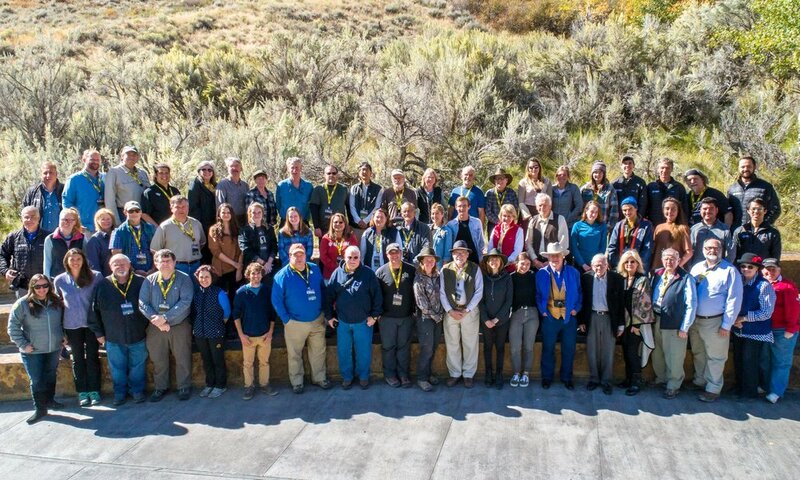 It was another very successful year at the Summit’s Nature & Wildlife Workshop in Jackson, Wyoming. Thank you to all of the participants, staff, and faculty for making this possible. See you next year. The Nature and Wildlife Workshop, also called Photography at the Summit, is the longest-running workshop in the Summit Series. It brings together a faculty of top international photographers and editors — many from National Geographic — and combines it with the beautiful setting of the Grand Tetons. Our faculty offers a wide-variety of photography knowledge, so a student may go shoot in the morning with an expert nature photographer, review their work in the afternoon with a professional editor, then go over their editing process with a tech expert. Mike wrote a story about Chimney Swifts for NEBRASKAland’s June 2018 magazine. Mike recently contributed a story about his 1300-mile traverse across the Platte River Basin in 2016 to the Outdoor Photographer magazine. Founded by a journalist in 2015, The New Territory is a quarterly print magazine. Its mission is to cultivate connections among the land, people and possibilities of the Lower Midwest. In Issue 06 of the New Territory Magazine Mike's images were featured in an article about a ranching family in the Nebraska Sandhills taking lessons they learned in Namibia about ecotourism and applying them on their ranch. 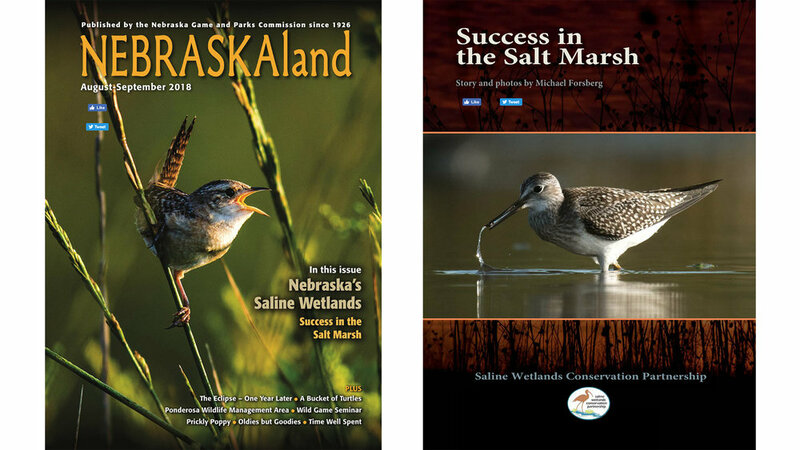 For the August-September 2018 NEBRASKAland magazine, Forsberg contributed a written story and photographs about the endangered saline wetlands found just north of Lincoln, Nebraska. "Wetlands are among the most productive and biologically diverse habitats on earth. They are the kidneys of the landscape, filtering our water of pollutants and converting them to less harmful substances. They control flooding by giving water a place to go and slowing down runoff and allowing water to absorb back into the soil. They recharge local water tables and aquifers. Sadly, they have been viewed more as a nuisance or an impediment to progress in our country's brief history. Nebraska's eastern saline wetlands have also suffered extensive losses. However, there is hope as many people now recognize the importance of these wetlands and are taking actions toward Success in the Salt Marsh." We encourage you to subscribe to NEBRASKAland magazine so more of these important stories can be heard and supported. If you do not subscribe, and still want to read this story you can by clicking the link below. Join Trident Booksellers and Cafe and Endangered Species Coalition at Trident Booksellers and Cafe in Boulder, Colorado on Friday, August 3rd from 5 - 7 PM for the opening of Our Vanishing Future: Photographs and Illustrations. This art exhibit will feature photographs by professionals and illustrations by student artists of our vanishing species. The art will be available to view from Wednesday, August 1st to Monday, August 27th at Trident Cafe. Some of Mike's photographs will be featured in this exhibit. Follow the Water is a NET Nebraska production about Mike Forsberg and Pete Stegen's two-month, 1300-mile traverse across the Platte Basin. They traveled the landscape by bike, foot, and canoe. This was all in effort to explore this critical water source and to show how it intersects with the lives of those who live in this 90,000-square mile watershed in the heart of North America. It will tell the story of the Platte River Basin as Mike and Pete journey through the watershed - meeting dedicated conservationists, giving voice to the land and wildlife, seeing whats at stake, exploring the Platte Basin Timelapse project, and more. "If you want to find where the power lies, follow the money. If you want to find where life is, follow the water." No registrations are required for this FREE screening. Register to attend this FREE screening event here. The Prairie Corridor on Haines Branch is a project that hopes to create a ten-mile tallgrass prairie trail corridor connecting Pioneers Park and Spring Creek Prairie. This project will restore tallgrass prairie, protect habitat, provide opportunities for education, research, and outdoor recreation. Recently, the Parks Foundation organized a group of sixteen individuals who share the vision for this prairie corridor. These Cabinet members will assist in fundraising, community outreach, advising, and other aspects of the project as it moves forward. Michael is the chair to the Cabinet. Margaret Reist from the Lincoln Journal Star wrote an article highlighting Irving Middle School's Chimney Swift Club and Michael's work with these neo-tropical migrating birds that spend summers nesting in chimneys in the central and eastern part of the United States, Lincoln included. The Platte Basin Timelapse project has found a new home at the Center for Great Plains Studies through a collaboration between the center and the Institute of Agriculture and Natural Resources at the University of Nebraska-Lincoln. Under the direction of Michael Farrell and Michael Forsberg, the team is now located on the fifth floor of the center at 1155 Q St. It was formerly housed in the Nebraska Educational Telecommunications Center on East Campus. We are delighted to announce that Mike has received the 2017 Ansel Adams Award for Conservation Photography. This award, given by the Sierra Club, honors an individual who has made a superlative use of still photography to further a conservation cause. Mike's work focuses heavily on photographing the Great Plains of North America, one of the most endangered ecosystems on Earth. Through his photography, he hopes to shine a light on the often over looked or forgotten species that call this region home. Mike will be accepting this award in Washington DC on September 15, 2017. WiLDSPEAK is a conservation communications symposium organized by the International League of Conservation Photographers (iLCP). The symposium will be held November 14 & 15 at the Carnegie Institution for Science, 1530 P ST, NW in Washington, DC. If you are interested in learning about science, conservation, photography, and storytelling, then consider attending this conference to meet professionals in the conservation industry, watch presentations and learn about current conservation projects happening around the world. Click the link below for more information on tickets and registration; we hope to see you there! Capturing the rare and vanishing species of the United States: Wildlife photography by professionals and illustrations by student artists. Photographers featured include: Michael Forsberg, David Moskowitz, Tom Mangelsen, April Bencze, Paul Bannick, Kerri Farley, David Showalter, Steven Gnam, Ken Bohn.